There are plenty of creations which made Gucci extremely desirable and appealing to women from all parts of the world and from all classes. 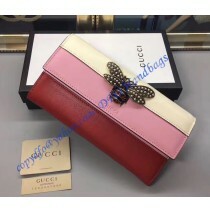 The Queen Margaret Leather Continental Wallet is one of them. 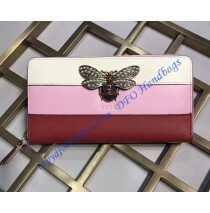 The wallet comes with a traditional bee code which has been used in the 70s. Since then, we never had an opportunity to see it again, despite the fact most people wanted it. 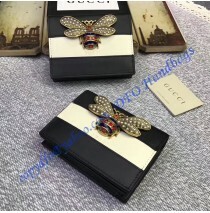 Now, Gucci took the aforementioned bee code and paired it with multicolored crystals and pearls made from glass. The end result is phenomenal in the lack of a better word. 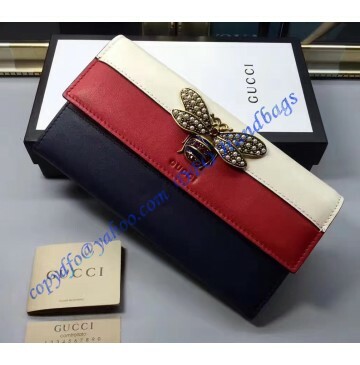 They are extremely tough and durable, so the overall quality of a wallet shouldn’t be taken into question. The inner elements share the same passion. 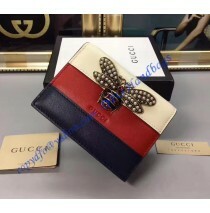 In the wallet, we can see two massive compartments, 6 slots for credit cards and two, additional compartments for bills. 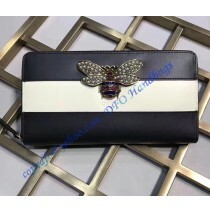 A coin pocket is added as well and it has been secured with a zipper. Overall, the wallet comes with a snap closure, which is more than just practical. 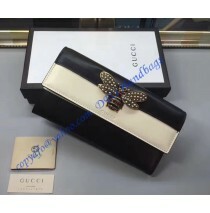 A special touch is a bee, which is shiny, stylish and appealing to most of you. 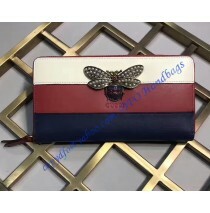 Space inside is suitable for needs of most women who are going to use this wallet. The Queen Margaret Leather Continental Wallet is all about elegance and style. It is something that can make you stand out from modern society while enjoying all accommodations of it. 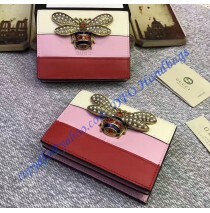 From classy parties to everyday life, the wallet here will make you happy and different, but special as well.